To a passing visitor, Eden Center in Falls Church, Va. may look like any other bustling suburban shopping center. But the plaza, which hosts more than 120 Vietnamese stores and restaurants, is not just a gathering place for the region’s Vietnamese community. 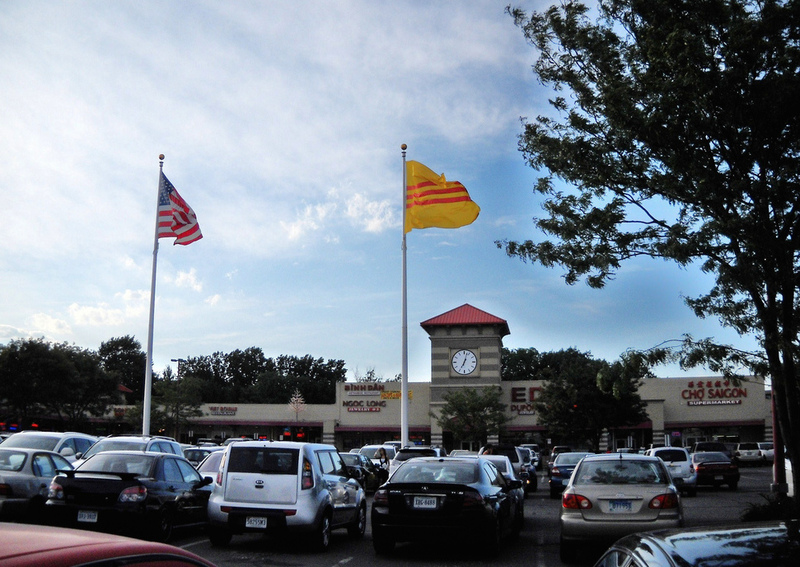 It’s also a tribute to South Vietnam (its flag flies in the middle of the parking lot). When the state fell to North Vietnamese and Viet Cong armies in 1975, many South Vietnamese refugees immigrated to the United States and settled in northern Virginia. Through small businesses in Eden Center, they gained a foothold into the local market and their new home. Now, new non-Vietnamese restaurants may bring a different flavor to the area. Kojo discusses the past, present and future of the plaza with a Washington Post food writer and an Eden Center bakery manager.